"Carol singing with Wielkopopolanie" is an extraordinary event referring to the tradition of Christmas song - carols, most often kept in a religious convention, initially derived from folk traditions and pastorals taken from everyday life. This is an extremely climate event referring to Polish roots, and also the opportunity to meet young, passionate people who are cultivating Christmas traditions. On January 13, the Folkloristic Group "Wielkopolanie" presented itself during a concert organized by the Poznań City Hall as part of the "Poznań Carol Singing" project in the church. St. Jan Kantego at the Poznań Grunwald. In the program of XI Poznań Caroling, there were performances of choirs, folk and artistic groups that took place in Poznań's churches. Among the artists invited from the Poznań caroling was also the Folkloristic Group "Wielkopolanie" of the Provincial Public Library and the Center for Culture Animation, which once again sang the most beautiful carols and folk pastorals together with the inhabitants of the native city. 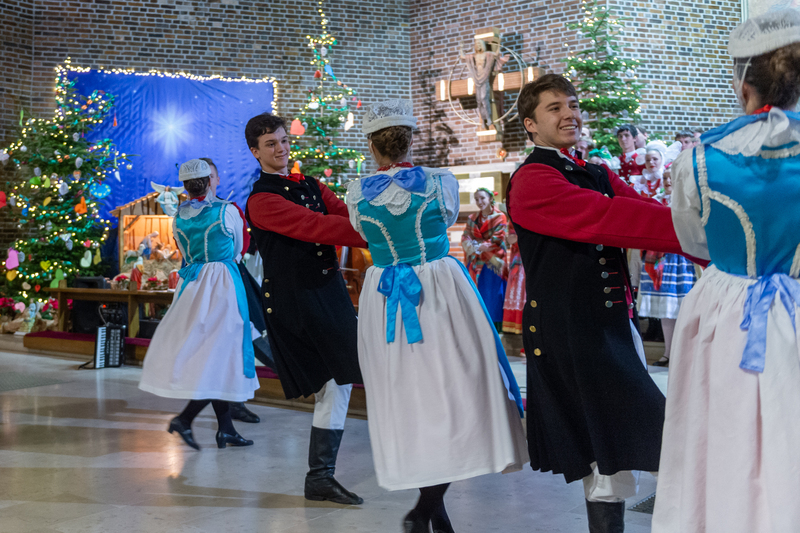 Over fifty dancers dressed in Szamotuły, Biskupia, and Dąbrowiec costumes, as well as the Spiš people gathered in large numbers presented the most beautiful carols and pastorals from the regions of Wielkopolska, Rzeszów, Kraków, Spisz and others. "Wielkopolanie" have carols from the turn of the 19th and 20th centuries in their program. Played on traditional folk instruments: bagpipes, a wedding goat, a violin fiddle performed during the concert and rewarded with thunderous applause. The program included Greater Poland, Rzeszów, Spisz, Krakow, Warmian-Masurian, Silesian, and many other pastorals, performed by the band were connected in accordance with tradition with a dance for Baby Jesus. During the concert, the audience could also sing together with the artists the most beautiful carols such as: "They came to Bethlehem", "God is born" and see traditional dances from Szamotuły, Dąbrówka Wielkopolska, Biskupizna and Spisz.